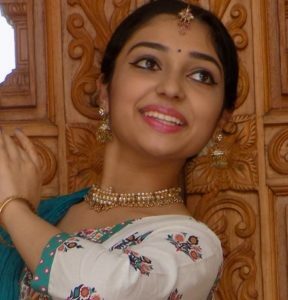 Radha is being recognized for her contribution to performing arts as an accomplished Kathak dancer and acting as a cultural ambassador to India. She got accolades from renowned Indian artists and news outlets for her performance in multiple events. She is also founder of Youth Indian Classical Art Society. class="pirenko_team_member-template-default single single-pirenko_team_member postid-3458 samba_theme samba_left_nav samba_left_align samba_responsive ecwd-theme-samba wpb-js-composer js-comp-ver-5.4.5 vc_responsive"